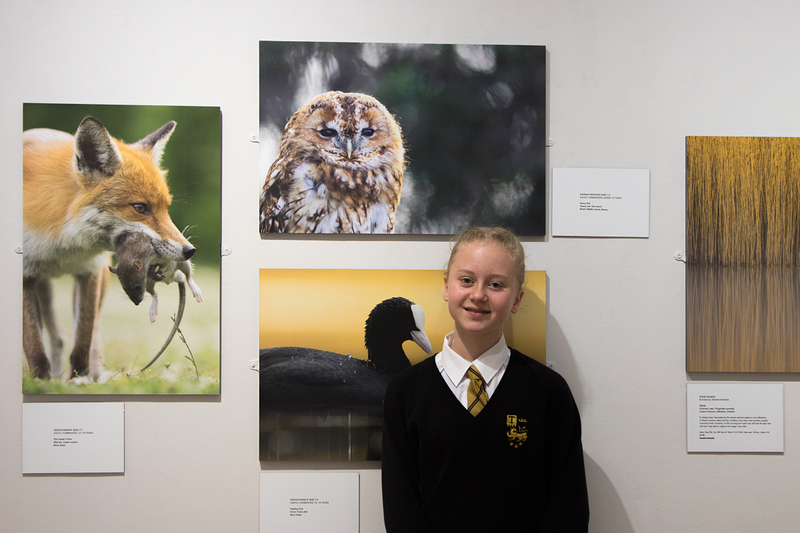 For years I’ve been entering the BWPA Competition in the hope that one day I could take my place at the opening night exhibition, rubbing shoulders with my peers. Well this year that dream finally became a reality, but it wasn’t through any fault of my own. No, my invite arrived as a guest of my 12 year old daughter Hannah! 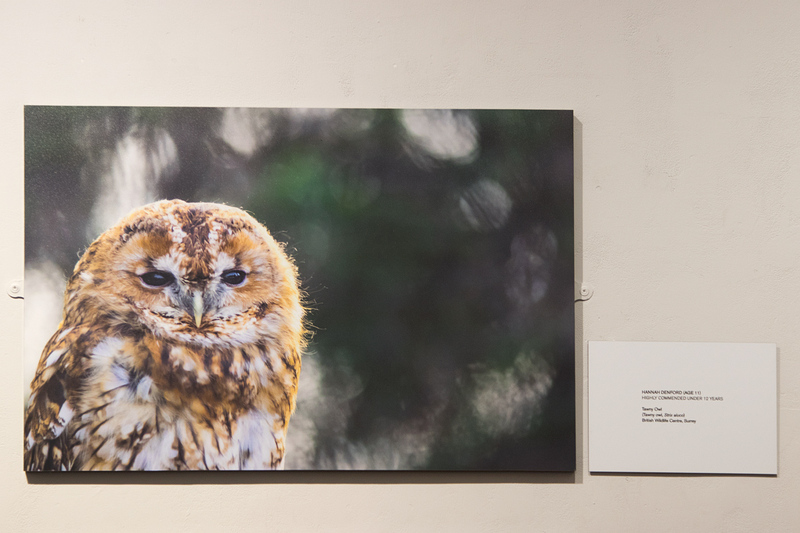 Her shot of a Tawny Owl, taken at the British Wildlife Centre, received a Highly Commended in the Under 12 Category, and this was my ticket into the event, hanging on to my daughter’s coat tails! Hell, I’ll take it any way I can get it. This was in fact her second consecutive year to make it into the book. 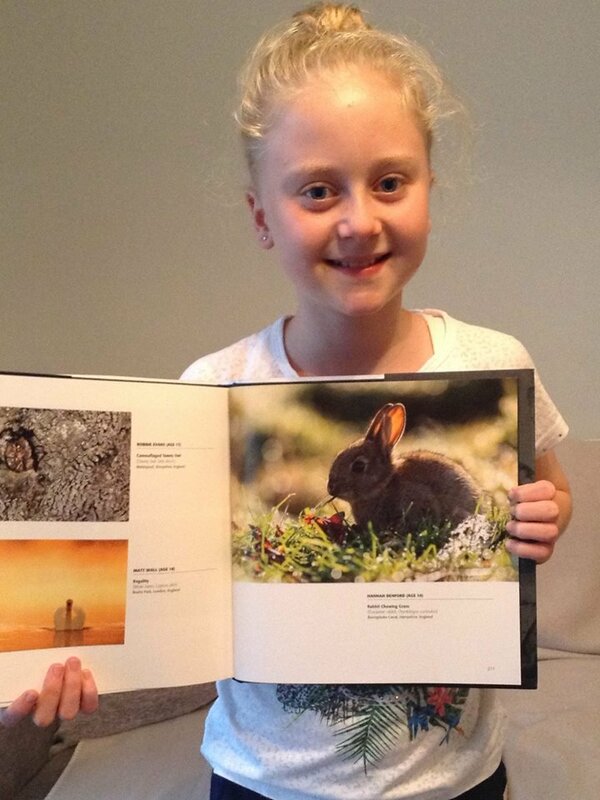 Last year Hannah got two images into the book, one of a fox taken at the British Wildlife Centre, and another of a beautifully backlit rabbit taken locally at the Basingstoke Canal Centre. The fox image was also later used as a double page spread/poster in the RSPB children’s magazine. So whilst Hannah begins to make it look easy, every year I struggle to make it beyond the shortlisting round! 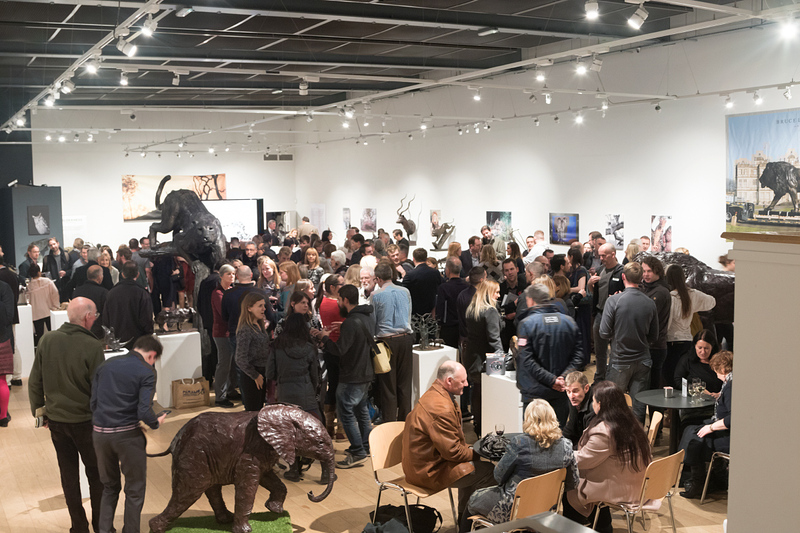 No matter, it was great just to be there, and to catch up with a couple of photographers in the shape of Phil Selby and Chatainya Deschpande, both of whose work I greatly admire. All the prints looked fantastic up on the wall, some truly stunning work. My particular favourite was Ben Hall’s shot of a Wren during a harsh frost, stunningly beautiful. With a new publisher the printed book has, in my view, taken a leap forward this year. The design is much improved and it’s printed on a beautiful matt stock. Available here. You can see a full list of the winners here. Congratulations to all the winning and commended entries, and maybe, just maybe, next year will be my year! Landscape Photography Magazine ‘Intimate Landscape’ Winner!